Home / News / Barley, Best Commercial of Super Bowl XLVIII? Barley, Best Commercial of Super Bowl XLVIII? Having our office based in NY and Super Bowl XLVIII taking place in New Jersey just over a week away means that us New Yorker’s are having a hard time escaping the Super Bowl, whether we’re interested in football or not. I admit with my team out of the playoffs, and not an avid football fan to begin with, I’ll mainly be attending this years Super Bowl parties for the food, beverages and the commercials. 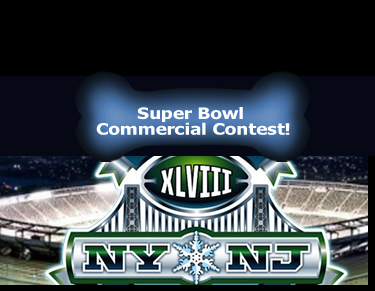 Intuit Inc. launched the “Small Business Big Game” contest, a contest where the winner will receive a 3o-second Super Bowl TV commercial promoting their business. Intuit Inc. covers the cost of developing, producing as well as the cost of purchasing the advertising space during the Big Game. Of the four finalists, although all endorsing great causes, one truly touched our hearts – a rescue dog named “Barley” the inspiration for Barley Labs: an all natural dog treat company located in Durham, NC. Barley labs takes spent grain from local breweries and turns it into all natural dog treats. On top of that, 10 cents from every bag sold are donated to local animal shelters to help dogs such as Barley find loving homes. 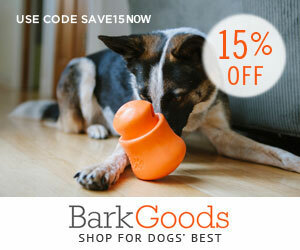 Reusing and recycling otherwise “waste”, natural dog treats, and charitable doggie donations? It’s no wonder why Barley and Barley Labs are our easy favorite! What can we say? We love beer, food, and pet friendly causes and products. Hopefully we’ll be seeing Barley on the big screen on game day!